Tips to make life in Raccoon City (slightly) easier. This isn't a scene-for-scene remake. You can close that GameFAQs walkthrough from 1998 because it won't help you. Resident Evil 2: Remake is not the same game as Resident Evil 2. Sure, the environments are largely similar and you'll recognise certain items and puzzles, but Remake remixes these ingredients to create entirely new puzzles, cutscenes, and boss encounters. But that's actually a great thing—especially if you've already played through the original Resident Evil 2. 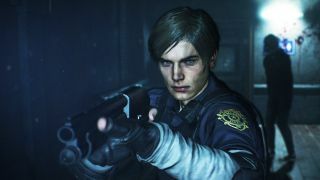 RE2: Remake still contains everything that made the original great, but refines it to feel modern and exciting again. It confidently walks that tight line between familiar and new. You'll be ambushed by a fan-favourite boss but then have to adapt to new challenges to overcome it. When you first start exploring the Raccoon City Police Department building, you'll quickly start to stockpile more ammo than you need in the moment. Having so many bullets to spare will make you want to take out every enemy you encounter, but that would be a huge mistake. There's a finite amount of ammo to be found in the police station, and zombies have randomised health that means they can sometimes take up to six or more shots to go down. What's worse is that they won't always stay dead, tempting you to waste even more ammo. More zombies will wander into the police station too. If you're not careful, you'll eventually find yourself running dry on all your weapons. That can make the second half of the police station a very difficult situation, so don't get cocky in the first hour or two. Save your bullets for when you absolutely have to use them. After a few hours spent in Resident Evil 2's different locations, you'll quickly start to build a mental map of the rooms and adjoining hallways. But learn to reference your map frequently. For one, items you walk close to are automatically highlighted on the map, which is helpful if you're running from an enemy and miss that green herb tucked away on a shelf. Another useful feature is that rooms are colour coded to tell you whether you've found every item and completed every puzzle within them. If a room is blue, you can move on. But if the room is red (and you've already grabbed every item), there's a puzzle there that you can still solve, or a locker to open. Later levels are especially labyrinth-like and can sometimes have very dangerous enemies you want to avoid altogether. Keeping track of those areas on the map and finding detours to avoid them is crucial, so check the map often to stay aware of your surroundings. At certain points of the game Leon and Claire are hunted by the mysterious Tyrant, or Mr. X as he's sometimes referred to. This hulking great mutant is an unstoppable force, literally, and will shrug off gunfire and explosive damage alike. So your only option is to run away, weaving in and out of rooms to get around him. But one thing the game doesn't tell you is that the Tyrant will head towards any gunfire he hears. So if you're shooting at zombies, he'll start heading in your direction. This adds an extra layer of tactics (and tension) to the game, because it's often worth just running past zombies rather than alerting the Tyrant to your current location. If you are ever cornered by him, a thrown flashbang grenade will blind him for a few precious seconds. I've lost count of the number of times counter-weapons have saved my life. If an enemy grabs you and your health is low, chances are you'll die helplessly. But if you have a combat knife, a flashbang, or a grenade in your inventory, you'll be able to counter their attack and break free. Shove a grenade in their mouth and it'll explode after a few seconds; or you can shoot it for an early detonation. And if you kill the zombie you stabbed with your knife you can retrieve it; although the knife will be damaged and eventually break. Later in the game there are enemies that can kill you instantly if they grab you, so always keep a grenade or knife handy to counteract this. Inventory space is very limited early on, which can be a headache when you don't have any space for that special key you need or that bit of ammo. Because you can't put stuff down once you've picked it up, you might be tempted to destroy unused items, like wooden boards or counter-weapons such as flashbang grenades, but that's a big mistake. Resident Evil 2 is tough, and you're going to want to use everything to your advantage. If you don't have the space for an item, you're better off making the trip back to a safe area and storing unwanted goods in your item box and then doubling back to pick it up rather than destroying something. Key items that have served their purpose get a red tick, which indicates you can safely destroy them. One of the things I regret about my first playthrough was frequently destroying wooden boards to make space for other items. Early on, it seemed pointless to board up broken windows in the police station. I later realized how dumb that was. Zombies from outside will continually wander inside through broken windows, so it's better to take the time to use every board and block off broken windows to keep that from happening. Otherwise, certain sections of the police station can become crowded with zombies that are nearly impossible to avoid. Broken windows that can be boarded up are marked on the map as a small white rectangle, so it's a good idea to stockpile a bunch of boards, then go around the station sealing as many up as you can. Veteran Resident Evil players will know that when you pick something up, the first thing you should always do is examine it. Click on the item in your inventory and hit 'examine' and you'll be able to spin its 3D model around. Not only will this give you more information about said item, such as specifying which door a key opens, but there are hidden secrets to uncover too. Twirl the object around and if you see an interaction point, that means there's something you can activate. This might be opening a box or a personal safe, or triggering a hidden mechanism to reveal a secret. Scattered throughout the game are safes and lockers, which are helpfully marked on the map when you discover them. You might not think finding the hidden code to unlock them is worth the hassle, but in almost every instance the items within are enormously useful. It might be some priceless magnum ammo for the Lightning Hawk, or weapon parts to upgrade your guns. So before you leave a location behind, make sure you've opened all these valuable treasure caches. Even something like a handful of magnum bullets can make all the difference in a boss battle down the line. And as we noted earlier, if a room is red on the map there's still something to find there, which is a nice visual reminder of which areas still have loot left to plunder.